The police department has floated tenders for seeking bid from manufacturers and dealers of gas masks and non-lethal pepper-ball launching systems. 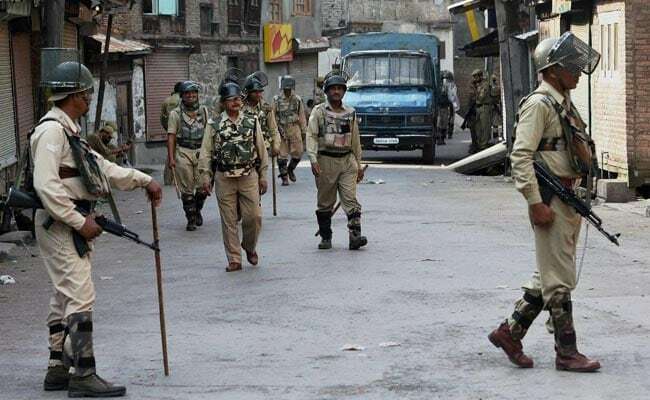 The Jammu and Kashmir police will soon get non-lethal pepper-ball launching systems and anti-riot gas masks to deal with law and order situations in the state, officials said Friday. The department has floated tenders for seeking technical bid from manufacturers and dealers of these two products, they said. A pepper-ball launching system, also called a pepper-spray ball projectile, is a frangible projectile containing a powdered chemical that irritates the eyes and nose, like the pepper spray. These non-lethal projectiles are fired from specially designed 'forced compliance weapons' or modified paintball guns. The anti-riot gas mask is used to protect the user from inhaling airborne pollutants, toxic gases and pepper spray during riots and other law and order situations. The mask forms a sealed cover over the nose and the mouth, but may also cover the eyes and other vulnerable soft tissues on the face.